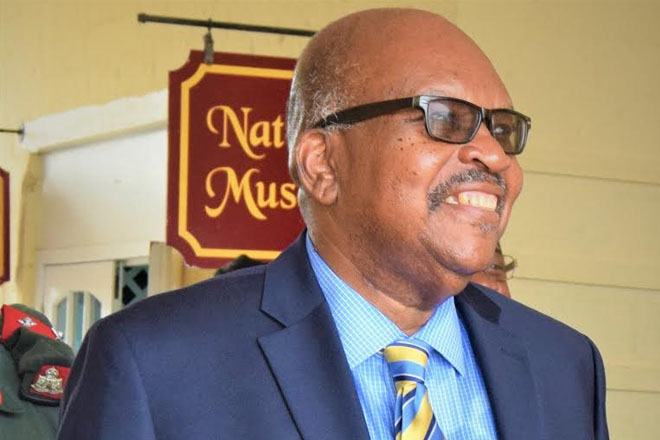 (SKNIS): The Governor General, His Excellency Sir Tapley Seaton will be hosting an Investiture Ceremony at Government House for eight exceptional nationals of St. Kitts and Nevis on Wednesday, June 14, 2017, at Government House at 10:00 am. During this auspicious ceremony, the Governor General will confer awards to the selected eight for their contribution to the development of the federation. The Companion Star of Merit (C.S.M) will be conferred on Lady Hulda Lawrence for her contribution to the field of music. Five persons will be awarded the Medal of Honour (MH): Mrs. Silvia Isaac for her contribution to Nursing; Ms. Clarice Cotton for her contribution to Education and Special Olympics; Mrs. Vanta E. Walters for her contribution to Early Childhood Development; Mrs. Dalia John for contribution to the Public Service in Education; and Mr. Maurice Widdowson for his contribution to Tourism. Mr. Elquemedo Willet and Ms. Vanta Archibald will both be bestowed with the Member of the Most Excellent Order of the British Empire (MBE) for the 2017 New Year’s Honour List—Mr. Willet for his contribution to Sports and International Cricket and Ms. Archibald for her contribution to Education, including Library Services and Community Activity.